This entry was written by Sarah Jenkins, posted on 08/07/2015 at 10:14 pm, filed under Youth 2015 Tour category. 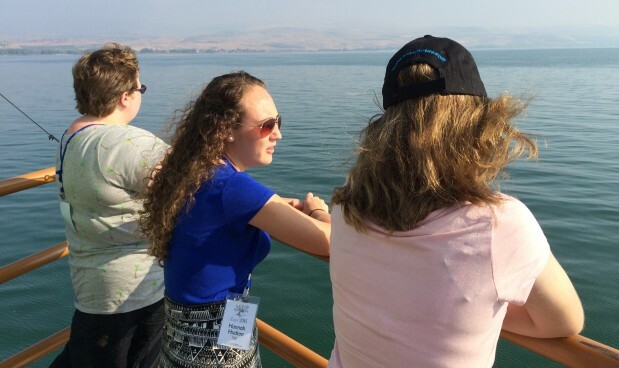 Today we began our tour with a sail on the beautiful Sea of Galilee on the Jesus boat. It was a wonderful experience that everyone really enjoyed. It was hot and hazy but was comfortable when we were moving. We sang, and we read from the Bible the account of Jesus in the storm. We celebrated Gods blessing of being in the Holy Land. Pastor Aker led the devotions – afterward we prayed then we danced to Hava Nagila. We put ashore at Nof Ginosar, the site of a boat form Jesus’ day that had been rediscovered in 1986. It was during a period of drought and the Sea of Galilee had receded enough to expose some nails, which consequently led to the discovery of the 2000 year old boat. Was this a boat Jesus and the disciples used? We may never know, but it was constructed of 12 different kinds of wood, which reminds us of the 12 disciples. After looking at the boat, and some if he artifacts found in the boat we head out. We go up from Galilee heading north following the Jordan valley. We drive past the Tel of Hazor, we decide to find lunch on the road and stop in a little roadside strip mall. We eat at a McDonald’s – it’s a bit different over here! Austin orders a “Big American”… that’s actually what they call it. It’s a huge hamburger – no cheese of course! To be fair, he did split it with Edward. It was fun to see an Israeli version of the iconic American fast food restaurant. After lunch we go further north to a place where you can raft down a tributary of the Jordan River. This was a blast – we split up and hopped into three rafts and were launched town a ramp with rollers into the fast moving stream. Then for the next two and half hours we floated down the valley. It was crowded along the banks and in the river at times with Israelis looking to beat the summer heat. 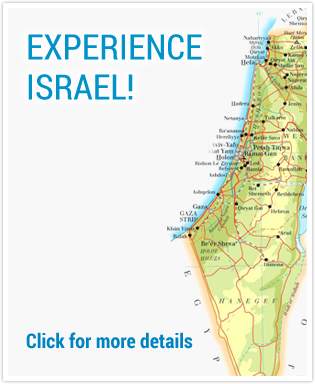 All day we felt like we were part of Israel, mixing in with the locals – what an experience. On our way back to Galilee we stopped for soft drinks. Most of us got ice cold cokes in glass bottles – just like the old days back in the states. We get back to the hotel just ahead of Shabbat. We enjoy a fabulous meal as people from he town come in their Sabbath finest clothes to join us at the hotels dinning room. We too will get some rest tonight as we turn in early happy with our incredible day in Israel.